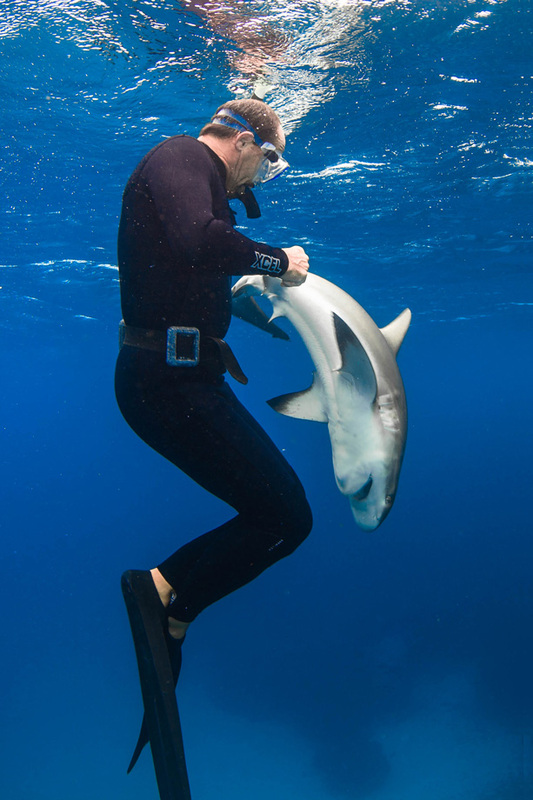 "All workshops revolve around ADORE-SANE, the world's first and only shark-human interaction concept"
This workshop focuses on the interaction aspects of different shark species. 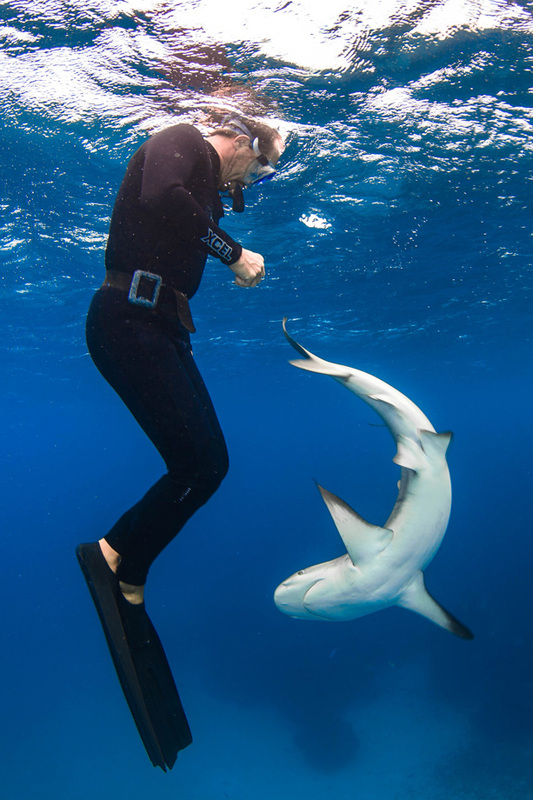 It will be taught what to look for when facing a shark, which factor(s) influence(s) the situation the most and how to interpret an encounter. Everything learned in the classroom will also be tried and tested with and among free roaming sharks within changing situations to give a thorough introduction to different scenarios. This workshop revolves around ADORE-SANE with special emphasis on the factors influencing watersport activities. Likewise, the lectures also use an angle called MCOrP (Mental Capaity Oriented Animal Perspective) where situations with humans are viewed at from a shark's perspective. This is the most intense workshop and is exclusively taught in the Bahamas at the SERC - Shark Education & Research Center. This workshop in Eleuthera is only suitable for divers/frredivers/snorkeles who want nothing else than interacting with sharks under different circumstances, get up close and personal with these animals, like to have a glimpse into actual shark research and even be part of it.